This week we’re reading the Torah portion known as Vayechi, continuing the Joseph story. And here’s the URJ’s compilation of commentaries on this week’s Torah portion: Vayechi| Reform Judaism. This coming Shabbat, services will be led by Rabbi Rachel at 9:30am with Torah study to follow around 11ish, as usual. Thanks to Helene Armet for our home-baked challah, and thanks to our shamashim, the members who host our Shabbat services each week. Some of you may remember receiving this note last year. It seemed to really speak to people, so I’m sending it again; the sentiments remain true! One of the interesting asymmetries of being a minority religious culture is that while members of the dominant religious tradition often have little awareness of our festivals, we can’t help being aware of theirs. At no other time of year is this more true than now, as we approach Christmas. Across the breadth of our community, we respond in many ways to this omnipresent holiday. Some of us may enjoy Christmas although it is not our holiday. We may admire our neighbors’ Christmas lights, appreciate the festive beauty of each household’s unique decorations, enjoy classic Christmas movies, and delight vicariously in the pleasure our Christian friends and neighbors take in their festival of light and hope. Some of us may find Christmas overwhelming because it is not our holiday. We may feel excluded from public displays of Christmas celebration; the day and its trappings may evoke entrenched feelings of isolation and “otherness.” For those of us who associate Christmas with uncomfortable memories of being an outsider, or communal memories of antisemitism, this can be a challenging season. We may resent the way mainstream American culture ignores the reality that not everyone celebrates this holiday, or may struggle with the message that everyone is “supposed” to be happy at this time of year. Some of us may enjoy Christmas because it is a festival we share with loved ones. Our community includes many Jews by choice (many of whom still have Christian family), and many families of dual heritage (who likewise have Christian family, as well as Jewish family). For those of us in such families, this holiday may offer a time to connect with loved ones across a variety of traditions. Some of us may take Christmas as an opportunity to serve others. I have known many Jewish doctors, nurses, and chaplains who choose to engage in pastoral work on Christmas so that our Christian colleagues can take the day off. Others may choose to work in soup kitchens or homeless shelters so that all who are in need will be cared-for and fed on this day and all days. May we experience light in this season of darkness. May renewed awareness of Jesus as a Jewish teacher open for us new ways of relating to our neighbors’ commemoration of his birth. And may we emerge into the secular new year ready to enjoy the increasing daylight! The Winter 5775 Newsletter is Here! and the Jewish Lieutenant…and much more! 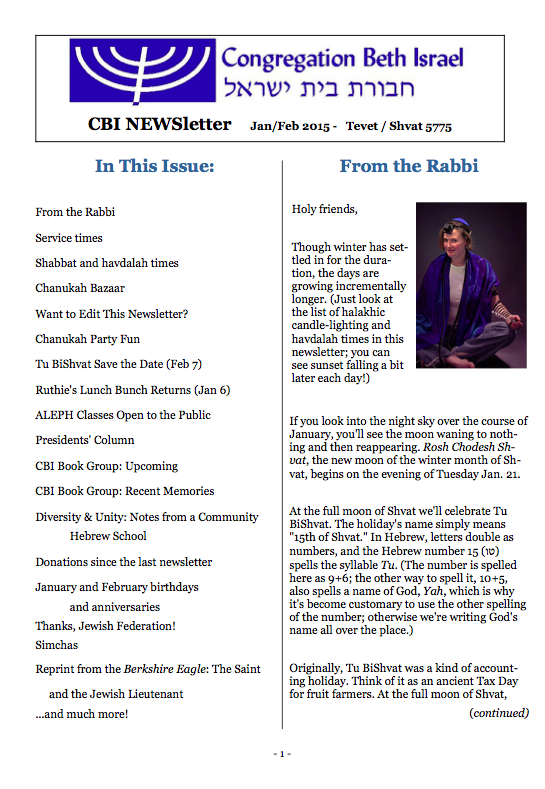 The newsletter (in pdf format) can be downloaded below; if you’re on our email list, you’ll also receive a copy via email shortly, and the newsletter will also be archived on the CBI website. If you’ve requested to receive the newspaper in hard copy (paper), we’ll send it out soon. Enjoy! This week we’re reading the Torah portion known as Vayigash, continuing the Joseph story. And here’s the URJ’s compilation of commentaries on this week’s Torah portion: Vayigash | Reform Judaism. The first thing Joseph does, when summoned from Pharaoh’s dungeon, is shave and change his clothes. Presumably he does this because it’s not appropriate to appear before the ruler of the land in rags… but given the importance of clothing in the Joseph story, I see something deeper. Remember his coat of many colors. Remember the garment which he relinquished to Potiphar’s wife in escaping from her clutches. Remember Tamar, who disguises herself in a cloak in order to orchestrate justice. Clothing in this story is symbolic of internal reality. As a child I learned from my mother that how we dress gives us an opportunity to show respect for others. We dress nicely because that’s a way of showing the people we meet that they matter. Surely that’s part of what Joseph is doing at this moment in his story. I also learned from my mother that how we dress can impact how we feel inside. When I’m not feeling great, sometimes brushing my hair and putting on lipstick can help me perk up and feel ready to face the world. That may have been part of what Joseph was doing, too. And another thing he may have been doing is adjusting his outer appearance so that it matches what he knows about himself inside. A number of Hasidic teachers speak about the tension between pnimiut, what’s hidden deep inside, and chitzoniut, the external face one presents to the world. We each carry a divine spark inside. That spark connects us with the Holy One of Blessing. That spark is the source of our light; as we read in psalms, “the soul of a person is the candle of God.” As we kindle candles, God kindles souls. If we’re willing to be kindled, we can carry divine light into the world. But we each get to choose whether and how to reveal that light. For me, one of the challenges of spiritual life is trying to ensure that my external face matches my internal light. Deep down, I’m always connected with God. But can I manifest that reality in the face I show to the world? Am I willing to risk letting my inner light shine? Because it does feel like a risk sometimes. This world doesn’t always reward those who let their light shine. I could be laughed at. I could be sneered at. I could be told that I am delusional, or naive. Someone could lash out at me because they don’t like my light. One of the primary mitzvot of Chanukah is pirsumei nes, publicizing the miracle. This is the origin of the custom of putting a chanukiyah in the window or in a public place — because we’re not supposed to keep it hidden, we’re supposed to let the light of Chanukah shine. As we’re supposed to let the light of our souls shine. Whatever clothing we wear, whatever persona we adopt, it’s our job in this world to be human candles. To shed light in the darkness, wherever we go. Tonight we’ll enter into Chanukah. Many cultures and traditions feature a festival of lights at this time of year; Chanukah is ours. There are a lot of different stories we can tell about Chanukah. One story is about resisting tyranny, and clinging to our right to worship God as we choose. Another story is about resisting assimilation — and also about the shadow side of that resistance, the divisive violence which can occur when a group of zealots thinks everyone else has assimilated too much. A third story is about light in the darkness, and about taking a leap of faith, and about miracles. Maybe you will not be surprised to learn that the third story — the one about light, and faith, and miracles — is the one which speaks most to me. These are dark days in more ways than one. On a literal level, our days are brief at this season and this latitude, and I know that I will breathe a sigh of relief once we reach the winter solstice this weekend and the days start getting longer bit by bit. But on a more metaphysical level, there’s a lot of darkness in the world. Injustice and discrimination, systemic racism, recent revelations about torture in this country — not to mention the personal dark nights of the soul which can arise because of depression, or the loss of a job, or an illness. Sometimes the world may seem too dark to bear. Chanukah comes to remind us that there is always light in the darkness. Not only that, but the light is ours to kindle. When we make the choice to give our hearts to hope instead of despair, we kindle light in the darkness. When we make the choice to build a better world instead of allowing the petty tyrannies of injustice to triumph, we kindle light in the darkness. Bringing light to dark places is within our power, every day. I love the miracle of Chanukah because it is so small. Passover reminds us of a huge miracle, the parting of the Sea of Reeds. Shavuot reminds us of a huge miracle, the revelation of Torah at Sinai. But Chanukah’s miracle is tiny. It’s human-sized. It lies in people choosing to have faith, and to kindle the light representing God’s presence even though they didn’t think they had the resources to keep it burning. We all have moments of fearing that we may not have the internal resources to keep the light burning — the light of justice, the light of compassion and kindness, the light of awareness. Chanukah comes to remind us that what we have is enough; that what we are is enough. And Chanukah comes to remind us that the miracle of bringing light into the world requires us as well as God. We have to make the conscious decision to kindle the light, to ignite our hearts, to be light-bearers in the world even if we fear we aren’t up to the task. Once we take that first step, the Holy One of Blessing will spread and magnify and sustain that light. May your Chanukah be sweet and filled with light. 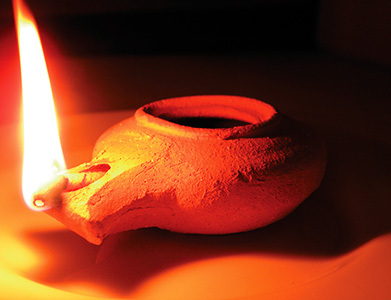 Shavua tov! Looking forward to Shabbat Chanukah! Join us on Friday evening at 5:30pm for our celebration of Shabbat Chanukah and the winter solstice! We’ll dine on a vegetarian/dairy potluck feast (please bring a dish to share — potato latkes will be provided), sing some Chanukah songs, bless the many candles, and enjoy live music from the Wholesale Klezmer band. Please RSVP to the office so we know how many potatoes to peel. 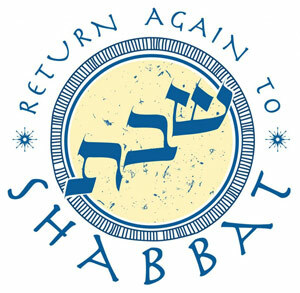 And join us on Shabbat morning at 9:30am for services led by Rabbi Rachel followed by a Chanukah-themed Torah study. And here’s the URJ’s compilation of commentaries on this week’s Torah portion: Mikeitz | Reform Judaism.